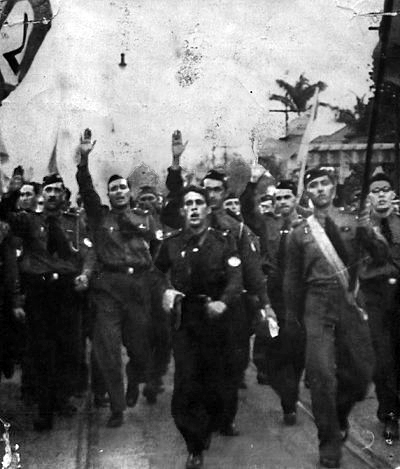 Since the emergence of fascism in Europe in the first half of the 20th century, the term "fascist" has frequently been used as a pejorative epithet against a wide range of individuals, political movements, governments, public and private institutions, including those that would not usually be classified as fascist in mainstream political science. It usually serves as an emotionally loaded substitute for authoritarian. Fasces is a bound bundle of wooden rods, sometimes including an axe with its blade emerging. The fasces had its origin in the Etruscan civilization and was passed on to ancient Rome, where it symbolized a magistrate's power and jurisdiction. The axe originally associated with the symbol, the Labrys the double-bitted axe, originally from Crete, is one of the oldest symbols of Greek civilization. To the Romans, it was known as a bipennis. Commonly, the symbol was associated with female deities, from prehistoric through historic times. A guild is an association of artisans or merchants who oversee the practice of their craft/trade in a particular area. The earliest types of guild formed as a confraternities of tradesmen. They were organized in a manner something between a professional association, a trade union, a cartel, and a secret society. They often depended on grants of letters patent from a monarch or other authority to enforce the flow of trade to their self-employed members, and to retain ownership of tools and the supply of materials. A lasting legacy of traditional guilds are the guildhalls constructed and used as guild meeting-places. Guild members found guilty of cheating on the public would be fined or banned from the guild. A syndicate is a self-organizing group of individuals, companies, corporations or entities formed to transact some specific business, to pursue or promote a shared interest. Communist states have sometimes been referred to as "fascist", typically as an insult. For example, it has been applied to Marxist regimes in Cuba under Fidel Castro and Vietnam under Ho Chi Minh. Chinese Marxists used the term to denounce the Soviet Union during the Sino-Soviet Split, and likewise the Soviets used the term to denounce Chinese Marxists  and social democracy (coining a new term in "social fascism"). Liberal opponents of both fascism and the Bolsheviks argue that there are various similarities between the two, including that they believed in the necessity of a vanguard leadership, had disdain for bourgeois values and it is argued had totalitarian ambitions. In practice, both have commonly emphasized revolutionary action, proletarian nation theories, one-party states and party-armies. However, both draw clear distinctions from each other both in aims and tactics, with the Bolsheviks emphasizing the need for an organized participatory democracy and an egalitarian, internationalist vision for society while the fascists emphasize hyper-nationalism and open hostility towards democracy, envisioning a hierarchical social structure as essential to their aims. With the antagonism between anti-interventionist Marxists and pro-interventionist Fascists complete by the end of the war, the two sides became irreconcilable. The Fascists presented themselves as anti-Marxists and as opposed to the Marxists. Mussolini consolidated control over the Fascist movement, known as Sansepolcrismo, in 1919 with the founding of the Fasci italiani di combattimento . 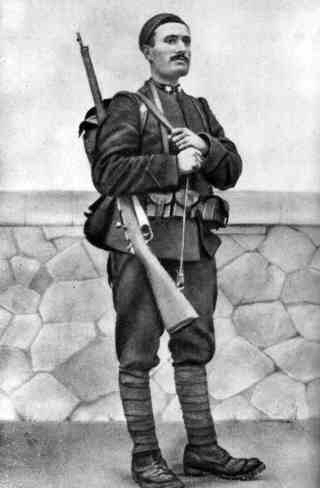 The next events that influenced the Fascists in Italy was the raid of Fiume by Italian nationalist Gabriele d'Annunzio and the founding of the Charter of Carnaro in 1920. 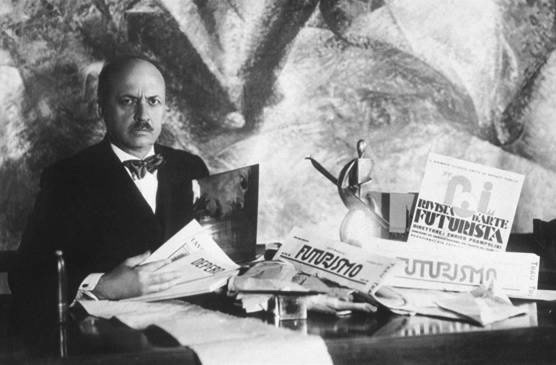 D'Annunzio and De Ambris designed the Charter, which advocated national-syndicalist corporatist productionism alongside D'Annunzio's political views. 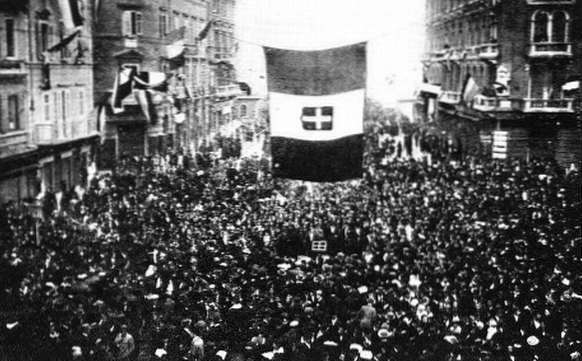 Many Fascists saw the Charter of Carnaro as an ideal constitution for a Fascist Italy. This behaviour of aggression towards Yugoslavia and South Slavs was pursued by Italian Fascists with their persecution of South Slavs—especially Slovenes and Croats. The conditions of economic hardship caused by the Great Depression brought about an international surge of social unrest. According to historian Philip Morgan, "the onset of the Great Depression...was the greatest stimulus yet to the diffusion and expansion of fascism outside Italy". Fascist propaganda blamed the problems of the long depression of the 1930s on minorities and scapegoats: “Judeo-Masonic-bolshevik” conspiracies, left-wing internationalism and the presence of immigrants. 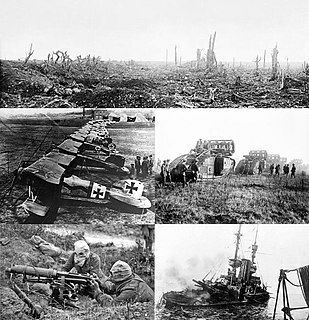 The invasion of Poland by Germany was deemed unacceptable by Britain, France and their allies, resulting in their mutual declaration of war against Germany that was deemed the aggressor in the war in Poland, resulting in the outbreak of World War II. 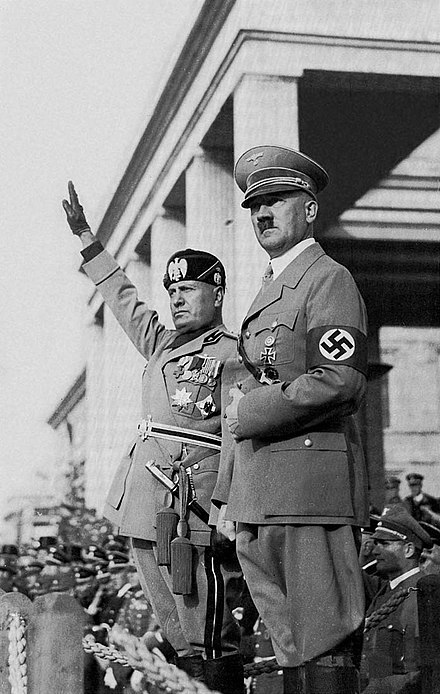 In 1940, Mussolini led Italy into World War II on the side of the Axis. 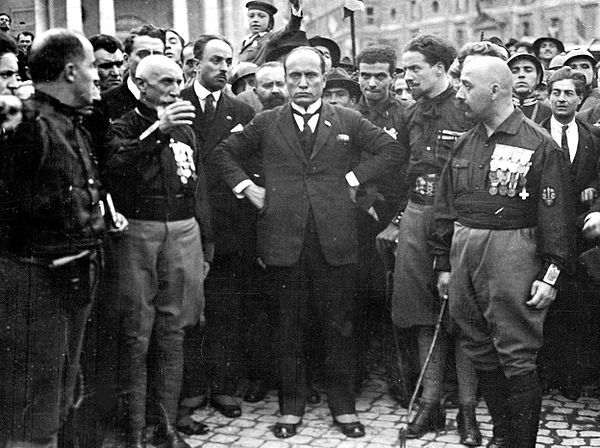 Mussolini was aware that Italy did not have the military capacity to carry out a long war with France or the United Kingdom and waited until France was on the verge of imminent collapse and surrender from the German invasion before declaring war on France and the United Kingdom on 10 June 1940 on the assumption that the war would be short-lived following France's collapse. Mussolini believed that following a brief entry of Italy into war with France, followed by the imminent French surrender, Italy could gain some territorial concessions from France and then concentrate its forces on a major offensive in Egypt where British and Commonwealth forces were outnumbered by Italian forces. Plans by Germany to invade the United Kingdom in 1940 failed after Germany lost the aerial warfare campaign in the Battle of Britain. In 1941, the Axis campaign spread to the Soviet Union after Hitler launched Operation Barbarossa. Axis forces at the height of their power controlled almost all of continental Europe. 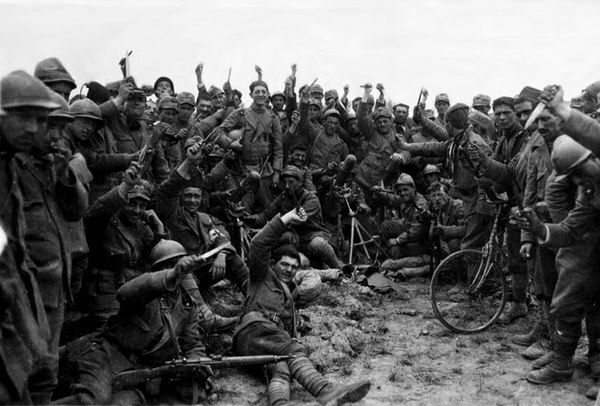 The war became prolonged—contrary to Mussolini's plans—resulting in Italy losing battles on multiple fronts and requiring German assistance. Fascism emphasizes direct action, including supporting the legitimacy of political violence, as a core part of its politics. Fascism views violent action as a necessity in politics that fascism identifies as being an "endless struggle". This emphasis on the use of political violence means that most fascist parties have also created their own private militias (e.g. 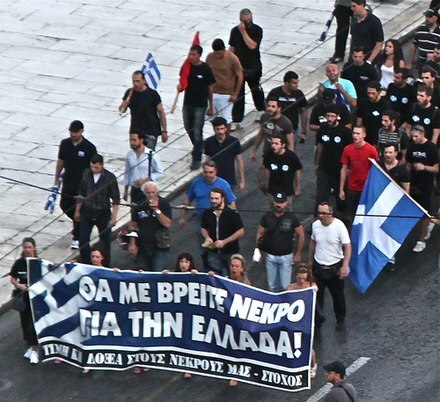 the Nazi Party's Brown shirts and Fascist Italy's Blackshirts). Fascism has been criticized for being ideologically dishonest. Major examples of ideological dishonesty have been identified in Italian fascism's changing relationship with German Nazism. Fascist Italy's official foreign policy positions were known to commonly utilize rhetorical ideological hyperbole to justify its actions, although during Dino Grandi's tenure as Italy's foreign minister the country engaged in realpolitik free of such fascist hyperbole. Italian fascism's stance towards German Nazism fluctuated from support from the late 1920s to 1934, when it celebrated Hitler's rise to power and meeting with Hitler in 1934; to opposition from 1934 to 1936 after the assassination of Italy's allied leader in Austria, Engelbert Dollfuss, by Austrian Nazis; and again back to support after 1936, when Germany was the only significant power that did not denounce Italy's invasion and occupation of Ethiopia. Zeev Sternhell is a Polish-born Israeli historian, political scientist, commentator on the Israeli–Palestinian conflict, and writer. He is one of the world's leading experts on fascism. Sternhell headed the Department of Political Science at the Hebrew University of Jerusalem and writes for Haaretz newspaper. Fascio is an Italian word literally meaning "a bundle" or "a sheaf", and figuratively "league", and which was used in the late 19th century to refer to political groups of many different orientations. A number of nationalist fasci later evolved into the 20th century Fasci movement, which became known as fascism. The Republican Fascist Party was a political party in Italy led by Benito Mussolini during the German occupation of Central and Northern Italy and was the sole legitimate and ruling party of the Italian Social Republic. It was founded as the successor of former National Fascist Party as an anti-monarchist party. It considered King Victor Emmanuel III to be a traitor after he had signed the surrender to the Allies. 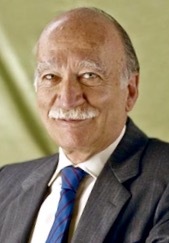 Paolo Orano was an Italian psychologist, politician and writer. Orano began his political career as a revolutionary syndicalist in Italian Socialist Party. He later became a leading figure within the National Fascist Party. Fascism in Africa refers to the phenomenon of fascist parties and movements that were active in Africa. Sorelianism is advocacy for or support of the ideology and thinking of French revolutionary syndicalist Georges Sorel. 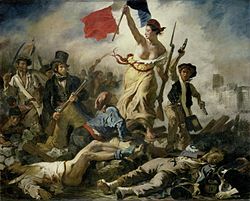 Sorelians oppose bourgeois democracy, the developments of the 18th century, the secular spirit, and the French Revolution, while supporting classical tradition. 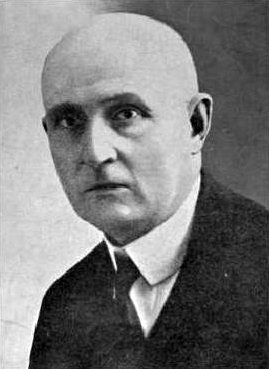 A revisionist of Marxism, Sorel believed that the victory of the proletariat in class struggle could be achieved only through the power of myth and a general strike. To Sorel, the aftermath of class conflict would involve rejuvenation of both the bourgeoisie and the proletariat. Bourgeois nation was a term coined by adherents of fascism. Fascism views a nation led by standard bourgeois culture as being associated with unfit sedentary lifestyle, individualism, plutocracy, and economic exploitation of proletarian people and proletarian nations, that fascism views as inconsistent with virile nationhood. ↑ Larsen, Stein Ugelvik, Bernt Hagtvet and Jan Petter Myklebust, Who were the Fascists: Social Roots of European Fascism (Columbia University Press, 1984; ISBN 978-82-00-05331-6), p. 424, "organized form of integrative radical nationalist authoritarianism"
↑ fascism. Merriam-Webster Online . Retrieved August 22, 2017. 1 2 3 4 5 6 Peter Davies; Derek Lynch (2002). The Routledge Companion to Fascism and the Far Right. Routledge. pp. 1–5. 1 2 Hartley, John (2004). Communication, Cultural and Media Studies: The key concepts (3rd ed.). Routledge. p. 187. ISBN 978-0-521-55982-9. 1 2 Wilhelm, Reich (1970). The Mass Psychology of Fascism. Harper Collins. ISBN 978-0-285-64701-5. 1 2 Mary Hawkesworth; Maurice Kogan (1992). Encyclopaedia of Government and Politics: Volume 1. Routledge. ISBN 978-0-203-71288-7. ↑ "Definition of FASCISM". Merriam-Webster . 27 April 2013. ↑ Benito Mussolini (2006), My Autobiography with The Political and Social Doctrine of Fascism, Mineloa, NY: Dover Publication Inc., p. 227. Note that some authors refer to Mussolini's first political party as "The Revolutionary Fascist Party". ↑ New World, Websters (2005). Webster's II New College Dictionary. Houghton Mifflin Reference Books. ISBN 978-0-618-39601-6. ↑ Payne, Stanley (1995). A History of Fascism, 1914–45. University of Wisconsin Press. ISBN 978-0-299-14874-4. ↑ Doordan, Dennis P (1995). In the Shadow of the Fasces: Political Design in Fascist Italy. The MIT Press. ISBN 978-0-299-14874-4. ↑ Parkins, Wendy (2002). Fashioning the Body Politic: Dress, Gender, Citizenship. Berg Publishers. ISBN 978-1-85973-587-9. ↑ Gregor, A. James (2002). Phoenix: Fascism in Our Time. Transaction Publishers. ISBN 978-0-7658-0855-4. ↑ Payne, Stanley G (1983). Fascism, Comparison and Definition. University of Wisconsin Press. ISBN 978-0-299-08064-8. 1 2 Griffiths, Richard (2000). An Intelligent Person's Guide to Fascism. Duckworth. ISBN 978-0-7156-2918-5. ↑ Prebble Q. Ramswell (2017). Euroscepticism and the Rising Threat from the Left and Right: The Concept of Millennial Fascism. Lexington Books. p. 9. ↑ Roger Griffin, The palingenetic core of generic fascist ideology Archived 10 September 2008 at the Wayback Machine , Chapter published in Alessandro Campi (ed. ), Che cos'è il fascismo? Interpretazioni e prospettive di ricerche, Ideazione editrice, Roma, 2003, pp. 97–122. 1 2 Paxton, Robert (2004). The Anatomy of Fascism. Vintage Books. ISBN 978-1-4000-4094-0. ↑ Anton Weiss-Wendt; Robert Krieken; Alfred A. Cave; et al. (2008). The Historiography of Genocide. Springer. p. 73. ↑ Oliver H. Woshinsky. Explaining Politics: Culture, Institutions, and Political Behavior. Oxon, England; New York: Routledge, 2008. p. 156. ↑ Zygmunt G. Baranski; Rebecca J. West (2001). The Cambridge Companion to Modern Italian Culture. Cambridge UP. pp. 50–51. ISBN 978-0-521-55982-9. ↑ Hoover, J. Edgar. Testimony before the House Un-American Activities Committee , 1947. ↑ Peter H. Amann, "A 'Dog in the Nighttime' Problem: American Fascism in the 1930s," History Teacher 19#4 (1986), pp. 559–84 online at p. 562. ↑ Sternhell, Zeev, "Crisis of Fin-de-siècle Thought" in Griffin, Roger, ed., International Fascism: Theories, Causes and the New Consensus (London and New York: 1998) p. 169. 1 2 Giuseppe Caforio. "Handbook of the sociology of the military", Handbooks of Sociology and Social Research. New York: Springer, 2006. p. 12. 1 2 Gigliola Gori. 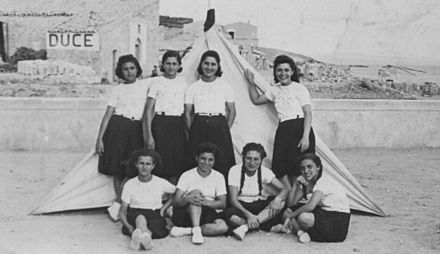 Italian Fascism and the Female Body: Submissive Women and Strong Mothers. Oxfordshire; New York: Routledge, 2004. p. 14. ↑ Gigliola Gori. 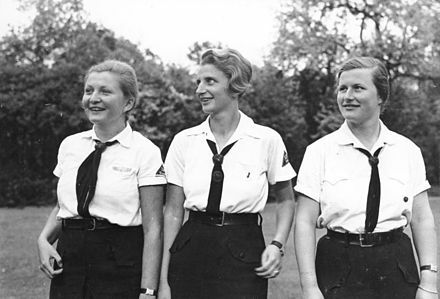 Italian Fascism and the Female Body: Submissive Women and Strong Mothers. Oxfordshire; New York: Routledge, 2004. pp. 20–21. 1 2 Held, David (1980). Introduction to Critical Theory: Horkheimer to Habermas. University of California Press. ISBN 978-0-520-04175-2. ↑ Peter Neville. Mussolini. Oxon, England; New York: Routledge, 2004. p. 36. ↑ Paxton, Robert (2005). "Chapter 1, The Invention of Fascism". The Anatomy of Fascism (First Vintage Books ed.). Random House. ISBN 978-0-307-42812-7. 1 2 3 4 5 Robert O. Paxton. The Anatomy of Fascism. New York; Toronto: Random House, Inc., 2005 p. 87. ↑ Robert O. Paxton. The Anatomy of Fascism. New York; Toronto: Random House, Inc., 2005 p. 88. 1 2 Robert O. Paxton. The Anatomy of Fascism. New York; Toronto: Random House, Inc., 2005 p. 90. ↑ Stanley G. Payne (1996). A History of Fascism, 1914–1945. U of Wisconsin Press. p. 122. ISBN 978-0-299-14873-7. ↑ Stanley G. Payne. 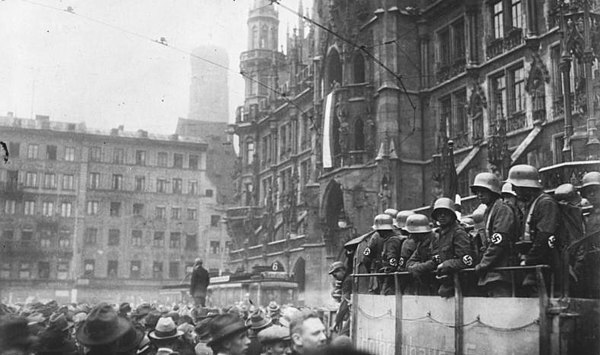 A history of fascism, 1914–1945. Digital printing edition. Oxon, England: Routledge, 2005. pp. 119–20. ↑ Aristotle A. Kallis. Fascist ideology: territory and expansionism in Italy and Germany, 1922–1945. London: Routledge, 2000. p. 132. 1 2 Ali Abdullatif Ahmida. The making of modern Libya: state formation, colonization, and resistance, 1830–1922. Albany, New York: State University of New York Press, 1994. pp. 134–35. ↑ Ian Kershaw. Hitler, 1889–1936: hubris. New York; London: W.W. Norton & Company, 2000. p. 182. ↑ Aristotle A. Kallis. Fascist ideology: territory and expansionism in Italy and Germany, 1922–1945. New York: Routledge, 2001. p. 51. ↑ Aristotle A. Kallis. Fascist ideology: territory and expansionism in Italy and Germany, 1922–1945. New York: Routledge, 2001. p. 53. ↑ Robert O. Paxton, "The five stages of fascism." Journal of Modern History 70.1 (1998): 1–23, quotes at pp. 3, 17. ↑ Paxton 2004, p. 150. ↑ Riley, Dylan (2010). The Civic Foundations of Fascism in Europe: Italy, Spain, and Romania, 1870–1945. Johns Hopkins University Press. p. 42. ISBN 978-0-8018-9427-5. ↑ Passmore, Kevin (2002). Fascism: A Very Short Introduction. Oxford University Press. ISBN 978-0-19-280155-5. ↑ Griffin, Roger (1991). The Nature of Fascism. Palgrave Macmillan. ISBN 978-0-312-07132-5. ↑ Laqueuer, Walter (1997). Fascism: Past, Present, Future. Oxford University Press. p. 223. ISBN 978-0-19-511793-6. 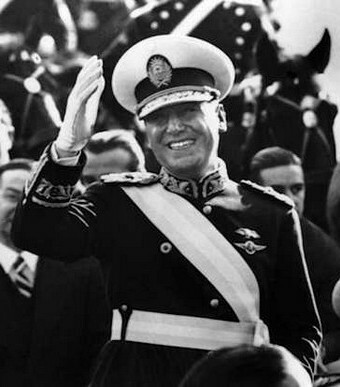 ↑ Mussolini, Benito. 1935. Fascism: Doctrine and Institutions. Rome: Ardita Publishers. p. 14. 1 2 Fascism and Political Theory: Critical Perspectives on Fascist Ideology." Oxon, England; New York: Routledge, 2010. p. 106. ↑ Walter Laqueur (1978). Fascism: A Reader's Guide : Analyses, Interpretations, Bibliography. U of California Press. p. 341. ISBN 978-0-520-03642-0. 1 2 Friedlander, Henry (1995). 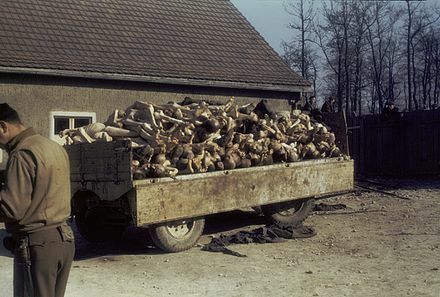 The origins of Nazi genocide: from euthanasia to the final solution. Chapel Hill, North Carolina: University of North Carolina Press. p. 30. ISBN 978-0-8078-4675-9. OCLC 60191622. ↑ Proctor, Robert E. (1989). 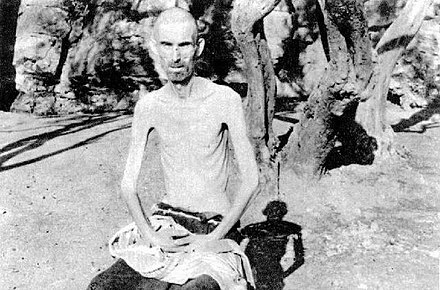 Racial Hygiene: Medicine Under the Nazis. Cambridge, Massachusetts: Harvard University Press. p. 366. ISBN 978-0-674-74578-0. OCLC 20760638. This emendation allowed abortion only if the woman granted permission, and only if the fetus was not old enough to survive outside the womb. It is unclear if either of these qualifications was enforced. ↑ Arnot, Margaret; Cornelie Usborne (1999). Gender and Crime in Modern Europe. New York: Routledge. p. 241. ISBN 978-1-85728-745-5. OCLC 249726924. ↑ Proctor, Robert E. (1989). Racial Hygiene: Medicine Under the Nazis. Cambridge, Massachusetts: Harvard University Press. pp. 122–23. ISBN 978-0-674-74578-0. OCLC 20760638. Abortion, in other words, could be allowed if it was in the interest of racial hygiene ... the Nazis did allow (and in some cases even required) abortions for women deemed racially inferior ... On November 10, 1938, a Luneberg court declared abortion legal for Jews. ↑ Tierney, Helen (1999). Women's studies encyclopedia. Westport, Connecticut: Greenwood Publishing Group. p. 589. ISBN 978-0-313-31072-0. OCLC 38504469. In 1939, it was announced that Jewish women could seek abortions, but non-Jewish women could not. ↑ Roger Griffin. The Nature of Fascism. New York: St. Martin's Press, 1991. p. 42. 1 2 Aaron Gillette. Racial Theories in Fascist Italy. London; New York: Routledge, 2001. p. 17. 1 2 3 4 5 6 John F. Pollard. The Fascist Experience in Italy. Routledge, 1998. p. 129. ↑ Aaron Gillette. Racial Theories in Fascist Italy. London; New York: Routledge, 2001. p. 93. ↑ Gillette, Aaron. Racial theories in fascist Italy. London; New York: Routledge, 2002. p. 45. Gentile, Giovanni. 1932. The Doctrine of Fascism . 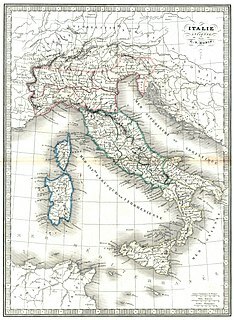 Enciclopedia Italiana. Mosley, Sir Oswald. 1968. My Life . Nelson Publications. De Felice, Renzo. 1977. Interpretations of Fascism . Harvard University Press. ISBN 0-674-45962-8. Wikimedia Commons has media related to Fascism .